Google just decided to add a little more fun to search—as if “do a barrel roll” and The Hitchhiker’s Guide to the Universe references weren’t already enough. 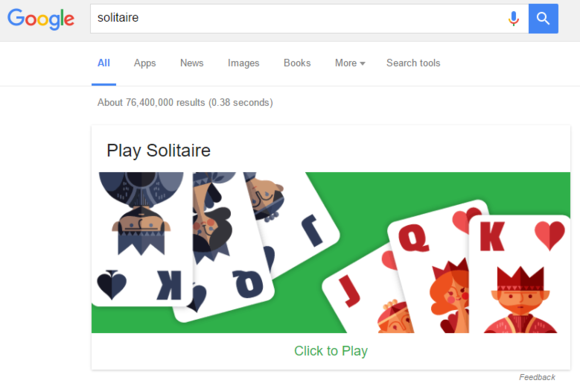 The company recently announced that you can now play solitaire, tic-tac-toe, and flip a coin right inside your search results. On top of that you can entertain young children (or childish co-workers) with animal sounds that playback in your browser. The new features are available now on the web and within the Google app—not including the app for Windows mobile devices. The new feature works like anything else would in a search result. Just search for “solitaire” in Google and right at the top you’ll see the option to play. 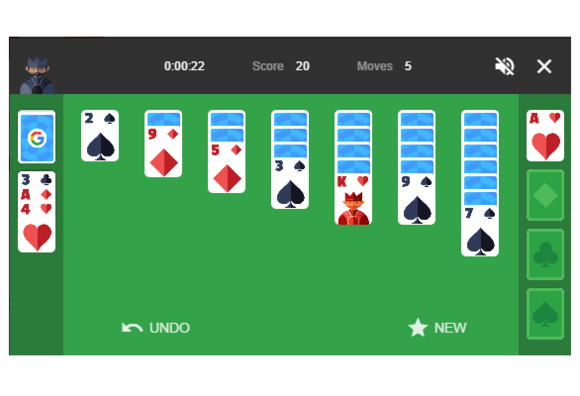 Google has only included the standard version of solitaire. Searches for Freecell or Spider Solitaire will come up short for games embedded in your results. 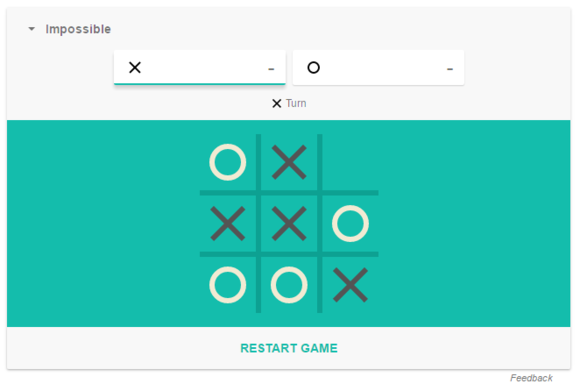 Tic-tac-toe also shows up at the top of search results, and is built for player-vs-player games or player-vs-computer. 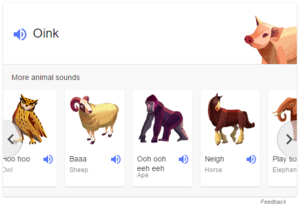 As for animal sounds, just search for “what sound does a pig make?” At the top you’ll see an option to play a pig’s oink, as well as a carousel below that with all the other animal noises that are available. The story behind the story: Google is no stranger to adding games to search, but typically these games replace its logo as a Google Doodle. The most famous example of which was in 2010 whenGoogle added Pac-Man to its site. An analysis by RescueTime said the Pac-Man game cost the U.S. economy $120 million in lost productivity on its first day in the wild. What’s interesting this time, however, is that Google chose to call out the addition of solitaire and the other games to search. Typically, little things like this are left as Easter Eggs for users to discover.